Along with the inner east and the city, Newtown is one of the best spots in Sydney if drinking at small bars is your idea of a good time. 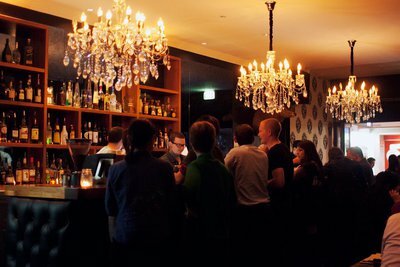 Along King Street and Enmore Road you'll find a host of top-notch drinking joints vying for your patronage. They all do it differently – some are cocktail-focussed, others are about cheap drinks. 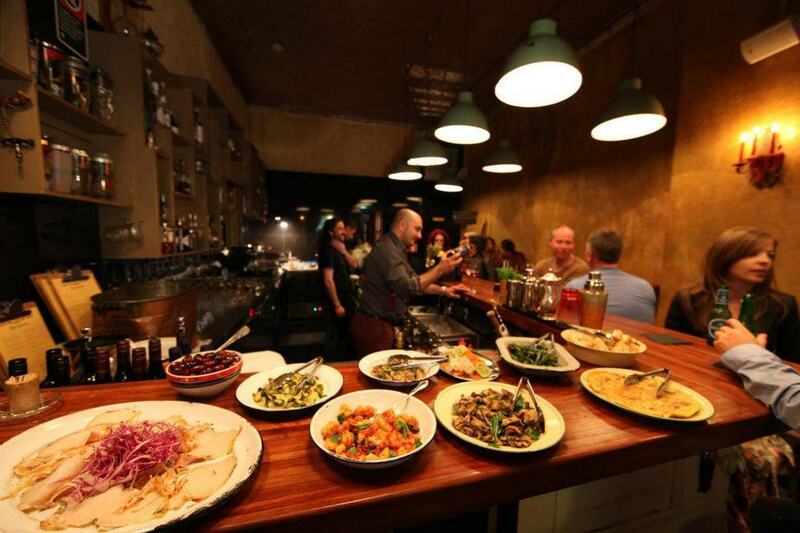 But whatever you're into, chances are you'll find fun with a great big capital F. And so here are 5 Newtown small bars that are worth a visit. Step inside this groovy shopfront dive bar and you'll find checkerboard flooring, Chinese lanterns, cosy booths, and a big long bar to pull up a stool at. There's usually some rocking tunes being played (of the blues, folk and rock 'n' roll varieties) and the staff are ever so friendly. Beers come courtesy of Coopers, Young Henry's and Sierra Nevada. The cocktails are all classics, but they're rendered seriously well, so sip on a Whiskey Sour, Margarita or Martini. If you get the munchies, try one of the hot dogs. Then it's time to sit back, enjoy the music and relax. One of the first cabs off the rank when small bars began setting up shop a couple of years back, Jester Seeds is a laid-back watering hole located towards the city end of King Street. 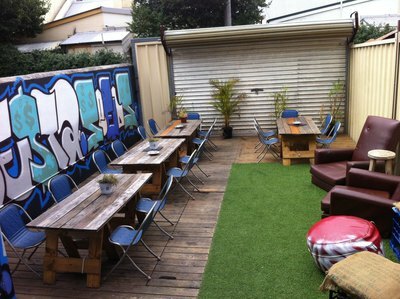 The tiny front room has couches which offer ideal viewing spots of the pavement, a second room has similarly comfy perches (albeit minus the people watching opportunities), while the astroturfed courtyard at the back provides haven for smokers and star gazers. To drink, there's Doss Blockos and Bintang beers, jugs of sweet sangria, and plenty of interesting mixes like an Old Cuban with rum, sugar, mint and sparkling wine. Corridor is aptly named. 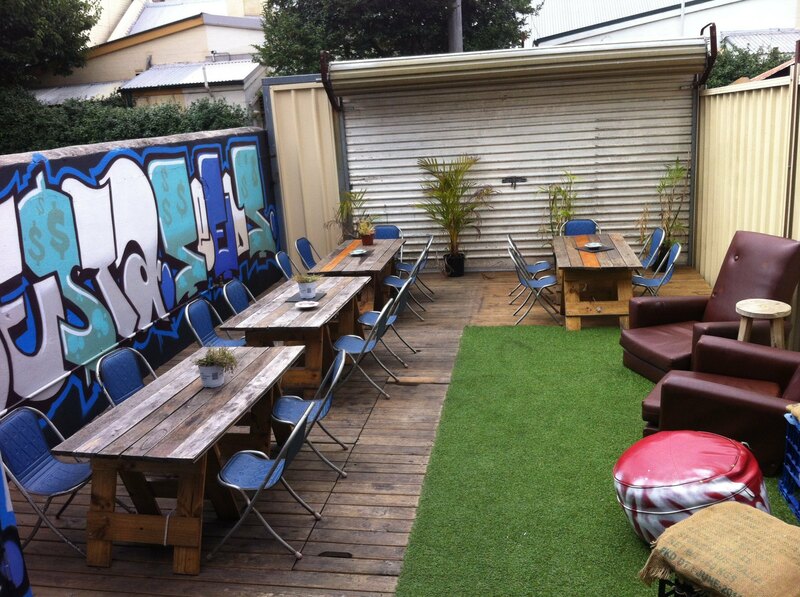 It's a slim wedge of a space located amidst the bustle of King Street's shops and takeaways. Head on inside to the first room and snare one of the few tables, or if the weather's pleasant, mosey on upstairs to Corridor's rooftop. A frosty Little Creatures or White Rabbit makes one of the best accessories up on the roof, or simply plunge headlong into their wine list. And that's before you've seen their seriously good cocktail list, which offers very smooth Whiskey Sours, Martinis and Dark and Stormys. You could make the case that Bar Racuda is technically in Enmore, but don't let details like that get in the way of your Newtown bar crawl. 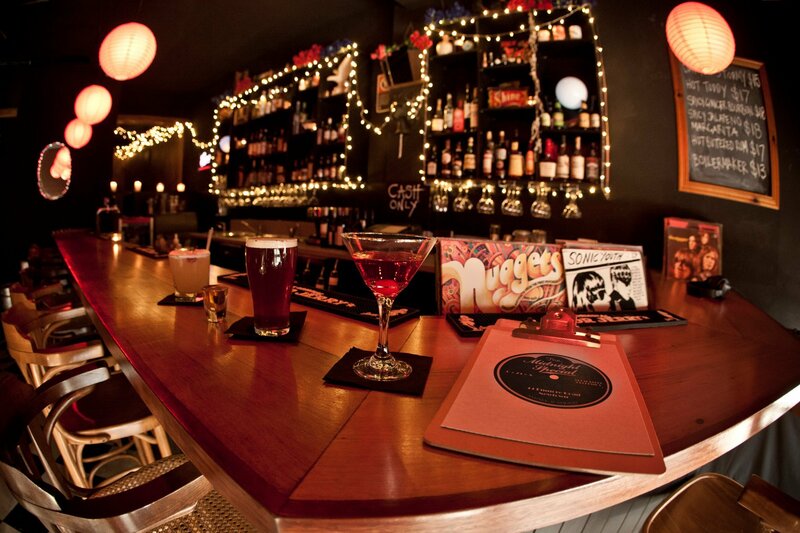 Bar Racuda is a classy space – all moody lighting and fun design flourishes. The bar is long and what they're making behind it is cool. The wine list has some excellent Italian vino, while the cocktails are big on the sweet flavours: consider the Sweet Americano with Campari, Vermouth, lemonade and an orange wedge. And if you're getting a touch light-headed at the thought of it all, arrive between 6-8pm when they lay out their complimentary aperitivo spread. 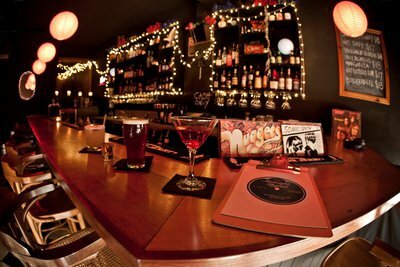 Blacksheep kicks off where Funky Bar left off. But mourn not, because Blacksheep's a whole heap better. There's a large deer head on one wall, a set of elaborate chandeliers hanging above the bar and an old Nintendo out the back for impromptu video game contests. The barkeeps serve White Rabbit beers, South Australian wine and plenty of highly imbibable cocktails – their range of Martinis are particularly good. For eats, there are sliders, chicken wings and curly fries, as well as some decadent desserts entirely unsuitable for anyone considering dieting.